In the 1860s, New Brunswick had a population of approximately 270,000, concentrated mostly along the north shore and throughout the Saint John River Valley. Those of English descent made up the majority of the population. There were also large minorities of Acadians, Irish and Scots. As well, many inhabitants traced their roots to the Loyalists who had come north during the American Revolution, including a small community of Black Loyalists. Saint John was the largest city in the Maritimes with about 42,000 inhabitants, comparable in size to Québec City or Toronto at that time. Fredericton, the provincial capital, was far inland and considerably smaller, with 6,200 people. 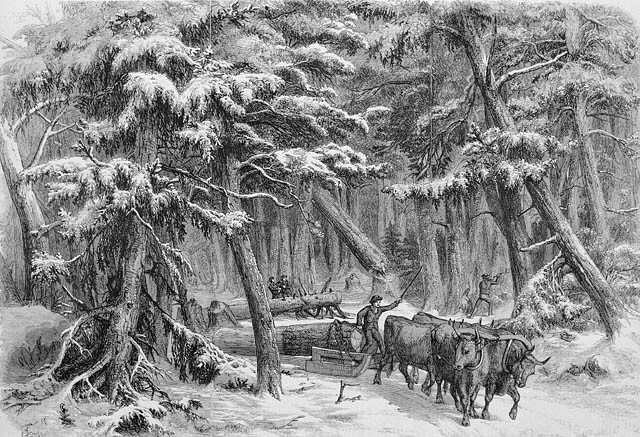 The colonial economy was strong, based primarily on timber and spin-off industries such as shipbuilding. 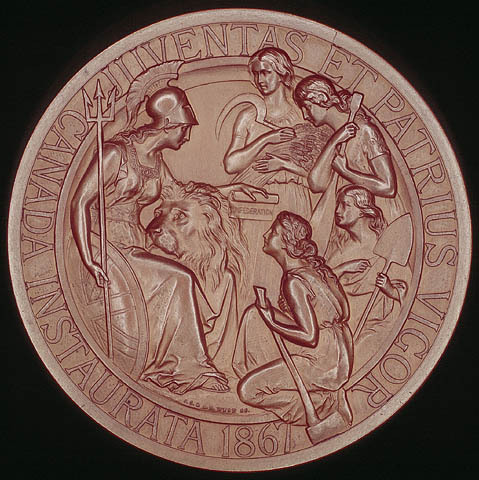 (The importance of timber was symbolized on the Confederation Medal, struck in 1867, on which the female figure representing New Brunswick holds a lumberman's axe.) The province had close trading ties with the United States, and benefited from the Reciprocity Treaty. The colony achieved responsible government in 1854. While men enjoyed nearly universal suffrage and a secret ballot, women did not have the right to vote. The terms "Liberal" and "Conservative" were used to distinguish parties, but official affiliations mattered little, and voting in the legislature frequently departed from party lines. Temperance was an explosive issue in the 1850s, leading to new, unofficial political classifications: "Smashers" -- generally Liberals -- supported abstinence; whereas "Rummies" -- generally Conservatives -- were against the prohibition of alcohol. The premier in 1864 was Samuel Leonard Tilley, a respected politician and dedicated teetotaler. Other major figures in New Brunswick politics included Governor Arthur Hamilton Gordon, John Hamilton Gray, and Edward Chandler. During and after the American Civil War, New Brunswick became increasingly fearful of the military threat posed by the United States. Events such as the Trent affair and the Chesapeake incident fuelled such fears during the war. The Fenians, a group of mainly ex-Civil War soldiers who were sympathetic to the cause of Irish independence, also proved disconcerting, and newspapers provided frequent updates of Fenian movements along the border with the United States. In April, 1866, Fenians launched a raid on New Brunswick. In 1863, Governor Gordon decided to pursue the idea of Maritime Union. There is still debate as to why Gordon wanted to unite New Brunswick, Prince Edward Island and Nova Scotia into a single province. The military and economic security of the region was an important factor, as was Britain's desire for some sort of union in British North America. There was also historical precedent: Prince Edward Island and New Brunswick had once been administered as parts of Nova Scotia, until 1769 and 1784 respectively. Some historians cite Gordon's own ambition as another factor, noting that he envisioned himself as the natural choice for governor of the united Maritime colonies. Gordon sent an invitation to Nova Scotia and Prince Edward Island for a conference to discuss the matter. Legislatures in all three provinces passed motions supporting the idea. Gordon's initiative for Maritime Union was quickly overshadowed by a more ambitious project. In the wake of the collapse of the government of United Canada, a coalition had been formed to study possible reforms. This coalition heard of the proposed Maritime Union meeting, and asked if representatives from Canada could attend in order to discuss the possibility of a union between all of British North America. The Maritime colonies agreed, hastily organizing a meeting to take place at Charlottetown that September. Earlier that year, a tour of the Maritime colonies by politicians and journalists had been organized, intended to allow Canadians and Maritimers to get acquainted. This visit, led by D'Arcy McGee, took place during the late summer of 1864. McGee and about one hundred other Canadians toured the Maritime colonies, attending a variety of receptions, dinners and other events. The tour made its first stop in New Brunswick, where they were greeted at Saint John by a crowd of 15,000 people, including a military band and revellers singing French folk songs. The mood of the visit was convivial, and the newspapers reported Tilley's enthusiastic clasping of hands with a Canadian visitor as a symbol of unity. The Saint John Morning Telegraph carried an account of a particularly enjoyable afternoon boat trip to Fredericton, where a reception and dinner were held for the Canadians. There, Samuel Tilley and D'Arcy McGee spoke in favour of union -- the latter to "rapturous applause." 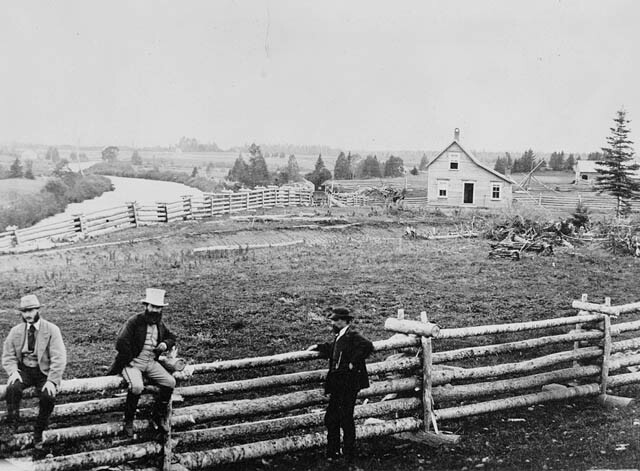 Although not organized expressly to promote Confederation, this visit did much to break down any suspicions either group might have had about the other, and created an atmosphere of goodwill that carried over to the meeting at Charlottetown. On September 1, 1864, the Charlottetown Conference was convened to formally discuss the idea of union. From Gordon's original plan for a small group of Maritime governors and premiers, the conference had grown to include more than thirty delegates. Gordon had selected the delegation from New Brunswick: Premier Tilley, former Premier John Hamilton Gray, Attorney-General John Mercer Johnson, Upper House Reform Leader William Steeves, and Opposition Member Edward Chandler. Notably absent from the delegation were spokesmen for two of New Brunswick's largest minorities, Acadians and Irish Catholics, despite the fact that both groups had elected representatives in the New Brunswick legislature. The Canadian delegates arrived well prepared to argue the reasons for all the colonies to unite. It was Tilley who voiced the growing consensus among Maritime delegates that Canadian Confederation was a real possibility. The proceedings of the conference were not recorded, but it is known that Tilley and the other New Brunswick delegates were impressed by what Confederation could offer: greater security, a wider market for their goods, and a way to reach that market through the promised Intercolonial Railway. Still, there were concerns about the relative strength of New Brunswick's voice within a new union, reflected in a newspaper editorial from the Saint John Morning Telegraph. Gordon was not happy with events at Charlottetown. When it became clear that Maritime Union was being swept aside, he left the conference and returned to New Brunswick. The Québec Conference began on October 10. After the discussions at Charlottetown, the task before the delegates was now to create a formal union agreement. Governor Gordon expanded the New Brunswick delegation to include Peter Mitchell and Charles Fisher. Debates at Québec focussed on financial arrangements, and on the form government in a united British North America would take. The Maritime colonies were concerned that they would be under-represented in a federal legislative assembly based on representation by population. Tilley tried hard to expand New Brunswick's representation in the proposed legislative council (now the Senate), but had little success. There was also dissent within the New Brunswick delegation over the distribution of provincial and federal powers. Edward Chandler argued that all powers not specified as federal should come under provincial jurisdiction. However, this proposal was deemed by many delegates to be too similar to the principle of States' rights, widely seen as contributing to the American Civil War. Many at the conference, including Johnson and Gray, from his own delegation, attacked Chandler's position. 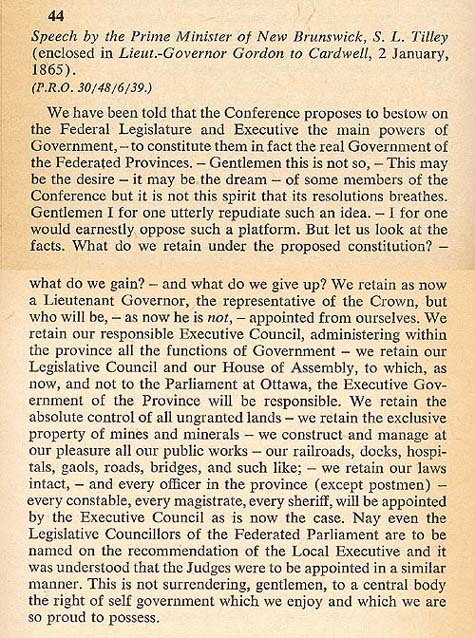 Still, in a speech made after the Québec Conference, Tilley pronounced that New Brunswick would retain -- and even gain -- several important powers under Confederation. As at Charlottetown, Québec was the scene of elaborate dinners, social events and speeches that aided the negotiations. Several delegates brought their wives to the Québec conference; Gray and Steeves of New Brunswick brought their daughters. After the formal discussions at Québec ended, the delegates extended the conference by going on tour, this time through Canada East and Canada West. 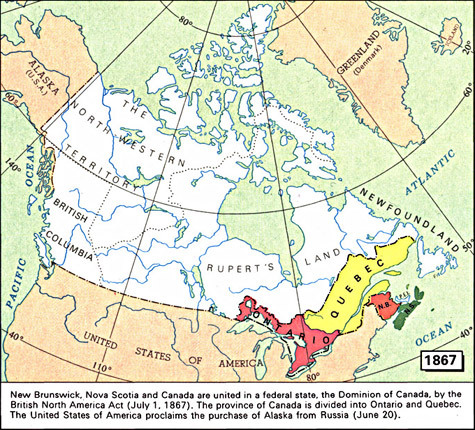 In general, the New Brunswick delegates backed Confederation and the Québec Resolutions. However, the handful of politicians who attended the conference would find they had little support at home. Tilley faced stiff opposition to Confederation when he returned to New Brunswick. Many people reacted harshly to the terms reached in Québec when they were published in the Saint John Morning Telegraph. The premier soon discovered a majority of members of the legislature were against union, and that these opponents enjoyed popular support in the province. In the legislature it was Albert Smith, a rival of Tilley, who headed the anti-Confederation faction. Smith became the de facto leader of opposition to union, because the official leader of the Opposition, John Hamilton Gray, had accompanied Tilley to the union conferences and supported Confederation. There was also opposition to Confederation among merchants and shippers, who feared increased competition, new tariffs and a higher tax burden. Many ethnic minorities, including Acadians and Irish Catholics, distrusted both Tilley and his Confederation project. To avoid humiliation in the legislature -- or possibly because Governor Gordon forced his hand -- Tilley called a snap election in 1865. Tilley lost by a wide margin, and his opponents, under Smith, were swept to power. Smith's government did not stay in power for long, however. His coalition, a mix of Reformers and Conservatives, had only their opposition to Confederation in common. With little else to unite them, they did not work well together, and their popularity quickly waned. There were other factors working against Smith's government. Fenian raiders, mainly former Civil War soldiers who were sympathetic to the cause of Irish independence, were harassing New Brunswick and other parts of British North America. A Fenian attack on New Brunswick in April 1866 caused considerable excitement in the province. To distance themselves from the Fenians and show loyalty to the Crown, many New Brunswick Catholics began to support Canadian union. As the tide of popular support turned in favour of union, Smith resigned. There is some debate over whether or not Governor Gordon exceeded his authority and forced Smith's resignation. A general election was called in 1866 and Tilley and his pro-Confederation faction won. 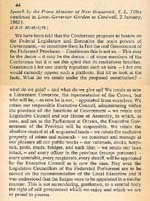 That summer Tilley put a resolution before the legislature supporting Confederation, which was passed by a vote of 38 to 1. There were still reservations about the details of the union plan, however. It was understood that the province's delegates would try to get a better deal during the next stage of negotiation. London was the site of the final Confederation conference, where the delegates drafted what would become the British North America Act. The Maritime delegates arrived in England during the summer, in advance of the delegates from Canada. For various reasons, the Canadian arrival was delayed until November. 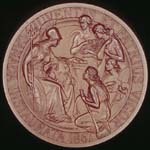 The London Conference got underway in December of 1866. The New Brunswick delegation was slightly changed for this conference: R. D. Wilmot replaced Gray and Chandler. As their legislature had instructed them, the New Brunswick delegates tried to use the London Conference to secure better terms. However, the Canadian delegation insisted they had a mandate only to deal with the Québec Resolutions, and few changes were made. 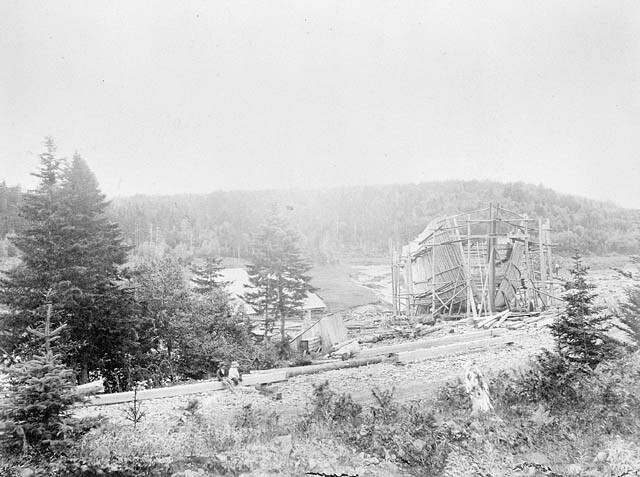 New Brunswick did manage to confirm its right to impose duties on timber, and to insist on a guarantee for the Intercolonial Railway. Talks concluded on Christmas Eve, 1866. The following month, the drafting of the British North America Act began. Once there was a satisfactory version, it passed quickly through the British Parliament, receiving the Royal Assent on March 29, 1867. It is believed that Tilley suggested Dominion as the title for the new country, after a passage he read from the Bible, Psalm 72: "He shall have dominion also from sea to sea, and from the river unto the ends of the earth." July 1, 1867 was an official holiday in New Brunswick, though not everyone was in a festive mood -- feelings towards Confederation were mixed. In Saint John, the Volunteer Artillery fired a 21-gun salute to mark the beginning of the new Dominion, and an impromptu gathering of several thousand people paraded through the city streets. As the parade passed through an anti-Confederation neighbourhood, street fights broke out, and according to one newspaper report "several members of the party were obliged to go home to have their heads bandaged." Dr. Livingstone, a well-known anti-Confederation supporter, flew his flag at half-mast in protest, only to have it forcibly raised by pro-Confederationists. In Fredericton there were calmer festivities, including a marksmanship competition, but those who were against Confederation kept their shops closed and their flags lowered. The Saint John Morning News carried reports of the festivities in rural parts of the province, where bonfires and in one case a "monster picnic" marked the day. It also ran an editorial, "The New Dominion," and commissioned a poem, "The Nation's Birthday." The hesitancy that many people in New Brunswick felt towards Confederation was reflected in the first federal election, held in 1867. Five of the 15 seats allotted to the province in the House of Commons were won by anti-Confederationists, including Albert Smith. John A. Macdonald included Tilley in his new federal cabinet and Tilley, in turn, recommended Peter Mitchell for a cabinet position. Governor Gordon had left New Brunswick in 1866, resolving never to work in a self-governing colony again. The Atlantic Provinces in Confederation. -- Ed. E. R. Forbes ; D. A. Muise. -- Toronto : University of Toronto Press, 1993. The Atlantic Region to Confederation : a history. -- Ed. Philip A. Buckner ; John G. Reid. -- Toronto : University of Toronto Press, 1994. -- 491 p.
Creighton, Donald. -- The road to Confederation : the emergence of Canada, 1863-1867. -- Toronto : Macmillan. 1964. -- 489 p.
MacNutt, W. S. -- New Brunswick, a history : 1784-1867. -- Toronto : Macmillan of Canada, 1984. -- 496 p.
Moore, Christopher. -- 1867 : how the Fathers made a deal. -- Toronto : McClelland & Stewart, 1997. -- 279 p.
Waite, P. B. -- The life and times of Confederation, 1864-1867 : politics, newspapers, and the union of British North America. -- 2nd ed., with corrections. -- Toronto : University of Toronto Press, 1962. -- 379 p.